Our Bologna meat processing Kits contain only the best ingredients and are packaged so they are ready to use by the weekend butcher. 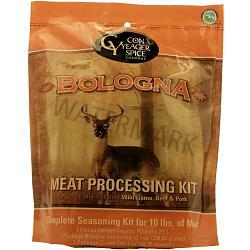 Each bologna kit comes complete with seasonings, cures, casings and detailed instructions for processing. The flavor of the bologna kit is bolder than the Trail Bologna Kit (item #CY1820) with a noticeable pepper flavor, but not too strong. Try both! The Bologna Kit contains seasonings and 4 strands of 73mmx20" Fibrous Casings to process 10 lbs. of meat. Made in the USA. 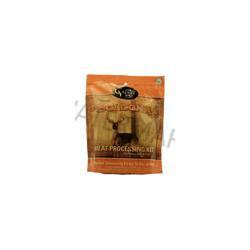 Italian Sweet Sausage Seasoning-12.5 oz. Hot Italian Sausage Seasoning-12 oz.